If you go out in the woods today you're sure to need refreshments and there are a great selection of cafes in the Nottinghamshire and Sherwood Forest area. Brambles Tea Room- Farnsfield. Arguably the best cake in the Sherwood Forest area. This is more a quaint tea room than a cafe and it's a level above. With some fantastic homemade cakes alongside some great food it's our top tip on a dry summers day. 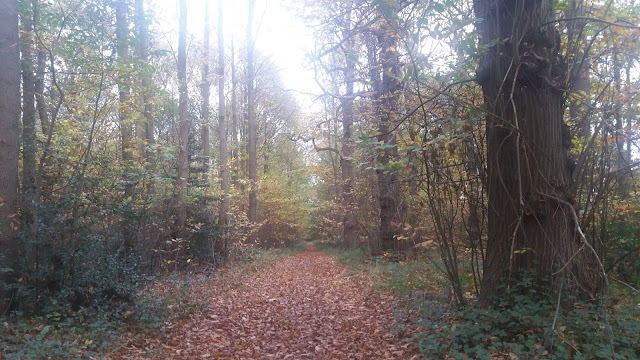 Easily accessed from Farnsfield along the Southwell Trail if you follow the cycle route to Bilsthorpe and then join the Southwell Trail before turning off into Farnsfield. Far better than the cafe at Sherwood Pines and well worth the journey. Java Cafe, Warsop. 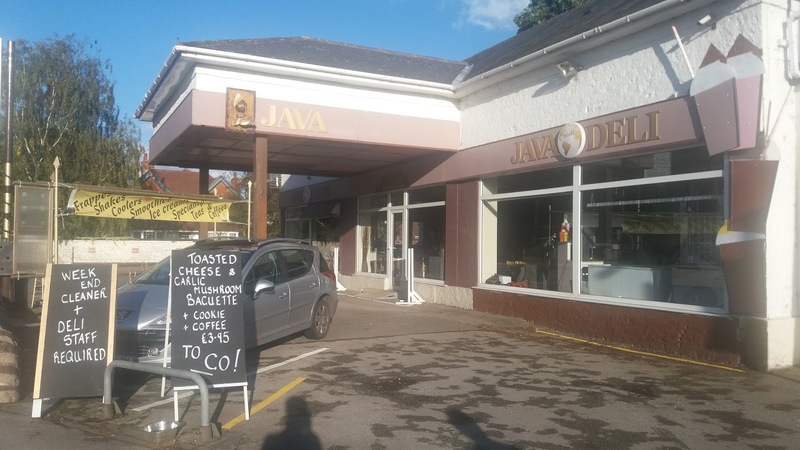 In a great location on the A60 on the northern tip of Warsop village is Java Cafe. It's a combo between cafe and deli so everyone is catered for. Well worth popping down to if you've been up at Clumber. Follow signs for Shirebrook from NCN Route 6 to Warsop village and turn a right at the junction after Meden School and you'll be right outside, Java Cafe is beside the Carrs local nature reserve and the Dukeries Trail cycling route from Shirebrook to Lincoln through the heart of Sherwood Forest. 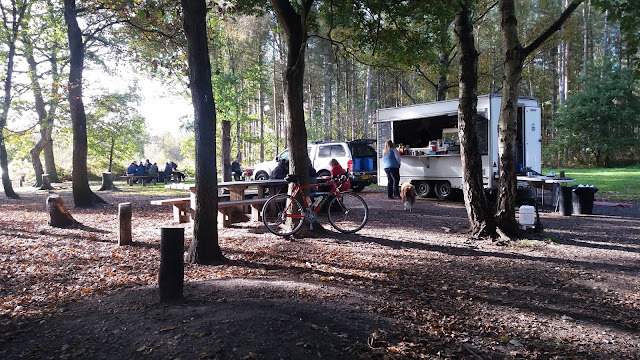 Broomwagon Velo Cafe- Hardwick Village within the Clumber Estate. If you just fancy a nice coffee the Broomwagon on the eastern edge of Clumber Lake makes for a nice spot to sit. 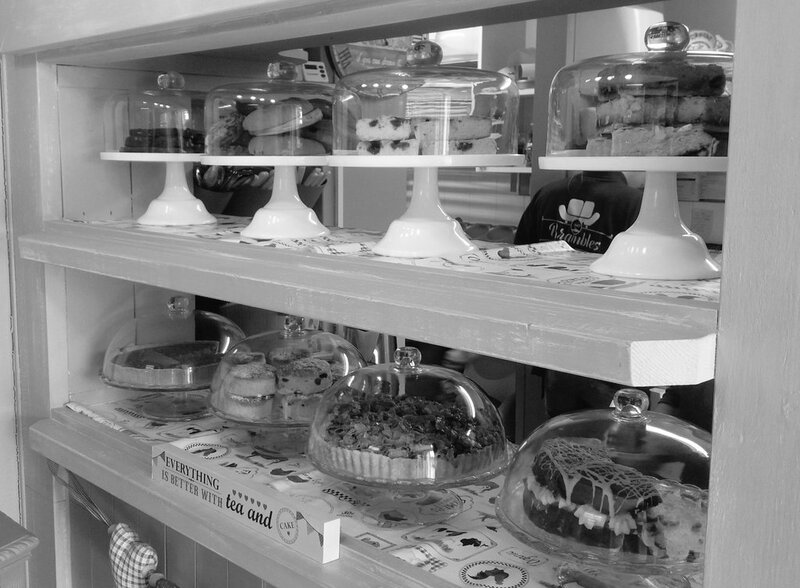 They do a nice selection of cakes too. They also have a coffee shop in nearby Retford to visit. Sherwood Pines Cafe. 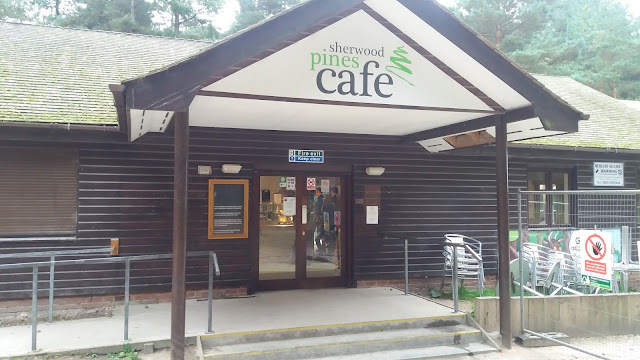 If only for it's location at the heart of Sherwood Pines Forest Park, The cafe on site deserves a mention thanks to it's setting amidst our local mountain bike trail centre. 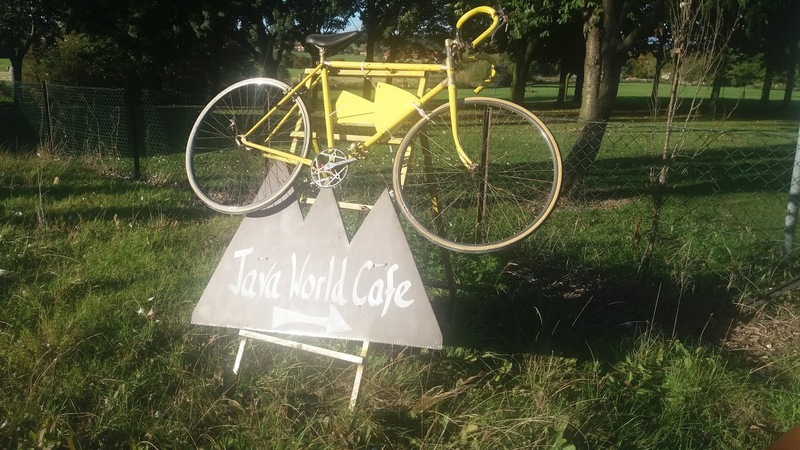 Coffee, cake and cycling go hand in hand, as well as convenience. Forest Corner Snacks, Ollerton. If you're looking for a cracking Full English Breakfast, Forest Corner Snacks is a great option. Situated just off Ollerton Island on the A616. What was originally a small cabin has expanded to a cafe with both indoor and outdoor seating. Open for the early birds Monday to Saturday 7 AM til 2 PM and Sundays 6 AM until 4 PM which works out great if you'll be fishing at the nearby Little John Lakes. Dynamo House Cafe at Bestwood Country Park. If you're a passionate historian, the Dynamo House Cafe at Bestwood Village and adjacent Winding House are a great place to visit. The Dynamo House Cafe is run by the local WI and opens 10 AM until 1PM Saturdays and 2 PM until 4PM during June, July and August. Serving a range of very sensibly priced drinks, snacks and cakes this facility helps to support the local Women's Institute and therefore is a great community project to support. The Cafe in Sherwood Forest, Edwinstowe. Just a stones throw (or short walk) from the fabled Major Oak. 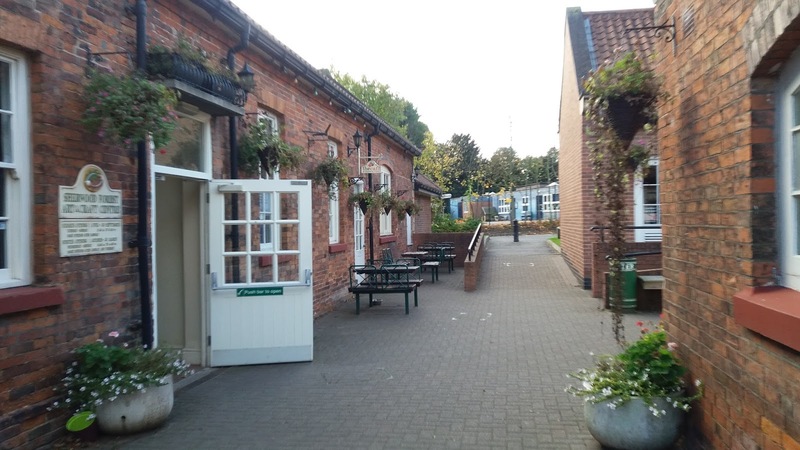 The Cafe in Sherwood Forest is within a fantastic craft centre on the edge of the town of Edwinstowe which is steeped in the history of Robin Hood. 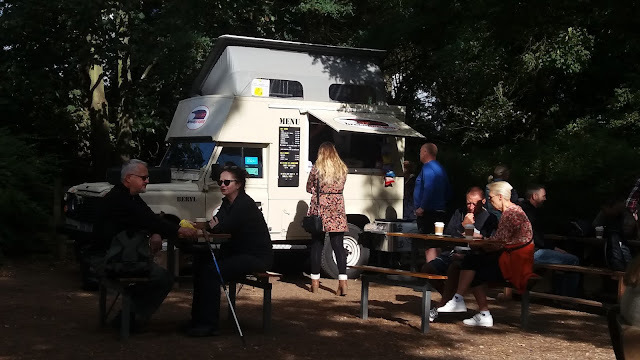 Serving a great selection of cakes and good quality cafe this is a nice stop off for cyclists and walkers making the most of the forest area. The Cafe in Sherwood Forest is just a short walk south from the Sherwood Forest Visitor Centre Car Park beside the Youth Hostel. Newstead Abbey Cafe. One of the most impressive buildings throughout Nottinghamshire and easily accessed via the main gate off the A60 in Ravenshead by car or on bicycle as Nation Cycle Network Route 6 passes through the Newstead Estate. Well worth a visit as part of a family day out. Where's your favourite cafe in Sherwood Forest. We'd love to hear from you.